Back in the days of traditional film photography, ISO (or ASA, as it was previously known) was the universal indication of film sensitivity to light, while in modern day digital photography, ISO refers to the light sensitivity of the image sensor. ISO speed affects the shutter speed and aperture combinations to achieve correct exposure. This means if you increase your ISO from 100 to 200 you will notice that you can shoot at faster shutter speeds and/or smaller apertures (big f/number) because the image sensor has become twice as light sensitive. The most important thing to remember about ISO is the lower the ISO setting, the lower the sensitivity to light, and the finer the grain will be. 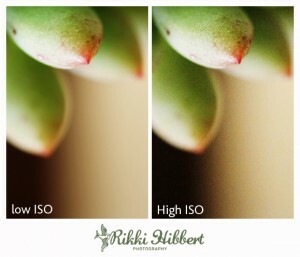 Lower ISO settings (such as 100 ISO) are generally used for brightly lit conditions, while a higher ISO (such as 1600 ISO and higher) are typically used in low light conditions. There is however a cost… the higher the ISO, the grainier your image will be. Back in the days of film, you may remember the grainy effect higher ISO films produced. Grain in digital photography is better known as Noise, and is a speckled disturbance affecting areas of similar colour, especially darker shadowy areas. By increasing the sensitivity of your image sensor by selecting a higher ISO, this allows the sensor to record a fainter light signal. Unfortunately, the increased sensitivity also allows the sensor to record more noise. Generally, Noise is not desirable, this is why you should use the lowest ISO setting practical, and then adjust the shutter speed and aperture to get the right exposure. If you camera is using a shutter speed too slow to hand-hold, you do not have a tripod handy, and you can not open up the aperture anymore, you may be better off selecting the next highest ISO setting in order to get a faster shutter speed. Do I have a tripod? Mounting your camera onto a tripod will allow you to shoot at a much slower shutter speed, meaning you can decrease your ISO to get less noise. If your subject is moving, you may need to increase your ISO in order to use a faster shutter speed to produce a sharper image. 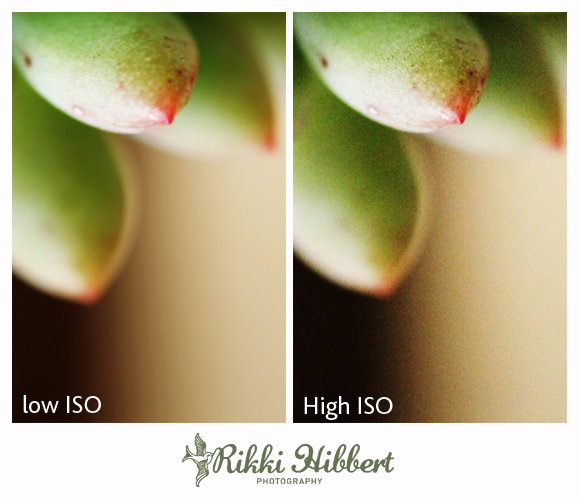 Experiment with your ISO settings and take notice of how your camera performs at different levels. Once you have got the hang of how changing shutter speed, aperture and ISO effects the end result of your image, then you have pretty much mastered the technical basics! Thanks! This makes so much sense! 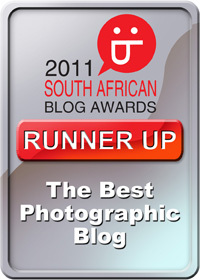 This is really handy for photographers. I would love to see more tips and tutorials on how to use my camera. Thanks Julian, I will be adding more camera tutorials soon! I see I am going to find your blog very helpful. Thanks. You put it so simply. I am so excited to have stumbled upon your blog. I recently purchased a Diana F+. I will definately turn to your website for tips. I’m especially excited about my upcoming return trip to Oxford, can’t wait to capture some cool images with my new lady! Thanks Jessica! Enjoy your Diana and trip to Oxford! Would love to see some of your lomography images from the trip! Nice. I have been having this trouble with noisy images in my Digital Camera. After reading this post I investigated the setting to see where I can change the ISO. Definitely made a big improvement! Thanks for the great advice Rikki!